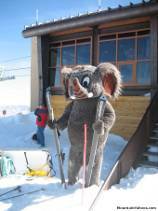 The most active Apres Ski festivities are at the Mammoth base lodges including my favorite at "Tusk's" in the main lodge. On a warm sunny day the deck will be full of sun worshipers listening to a live band. As soon as the sun sets below the mountains, all activities move indoors quickly. 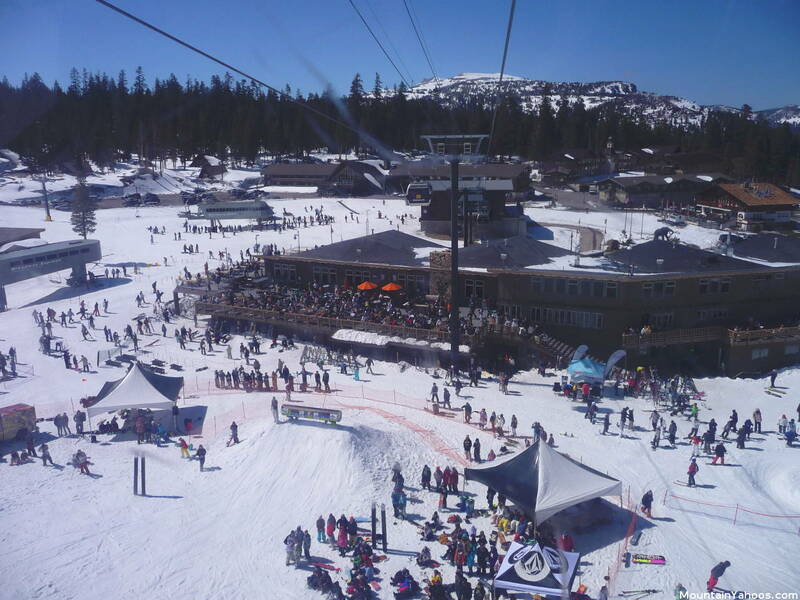 Mammoth has a vibrant apres ski at its two main lodges (Main Lodge and Canyon Lodge) as well as at some of the nearby pubs. 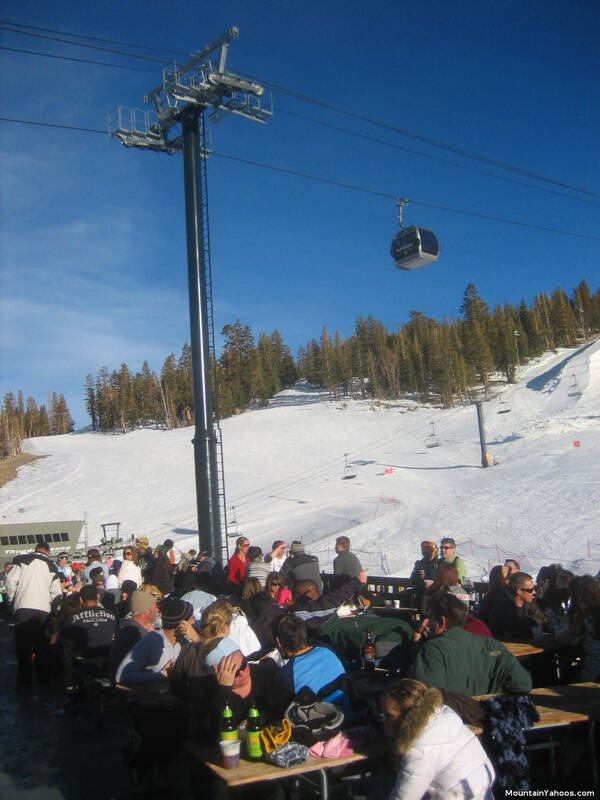 I must issue one warning for all of those who may visit Mammoth Mountain and attend the "Apres Ski" at the Yodler (bar/restaurant) so that they will not make the same mistake I made. My friends had found an optimum place to congregate, the bench seats in the pit in front of the fireplace. I would often look up at the large but innocent looking cowbell hanging over the fireplace and upon an impulse decided to ring the bell. Immediately two bar tenders and a member of the wait staff rushed over to me, surrounded me and proceeded to inform me of the Yodler's 40 year tradition. I was informed that I must partake in this tradition, there was no other option. I was escorted to the bar where there was a "Wheel of Fortune" which I had to spin to determine the type of shot I was to buy. The wheel landed on Jagermeister. I was then informed that I either buy a round for all of my friends or a round for everyone seated at the bar. I bought a round of nine shots for my friends. I learned my lesson. Note: The last shuttle from the mountain base Main Lodge to the village and town of Try not to miss it. 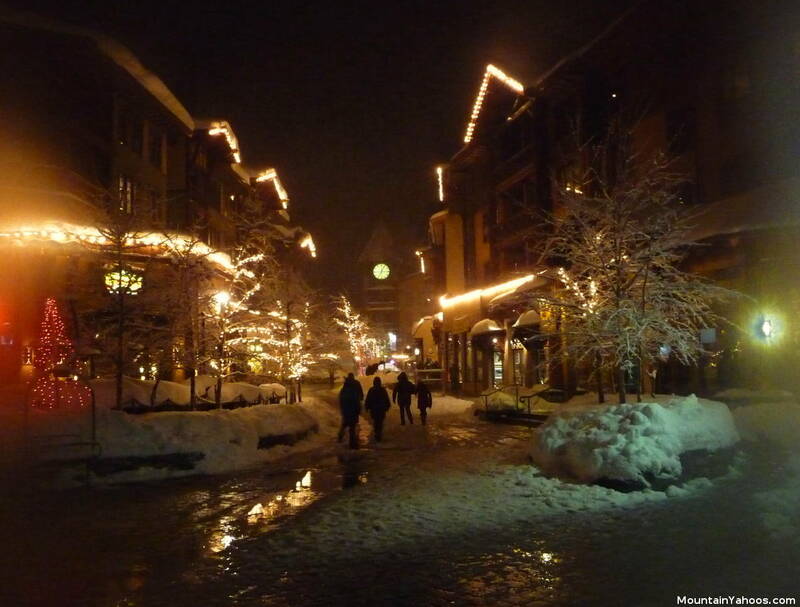 Mammoth Lakes is at 5:30. 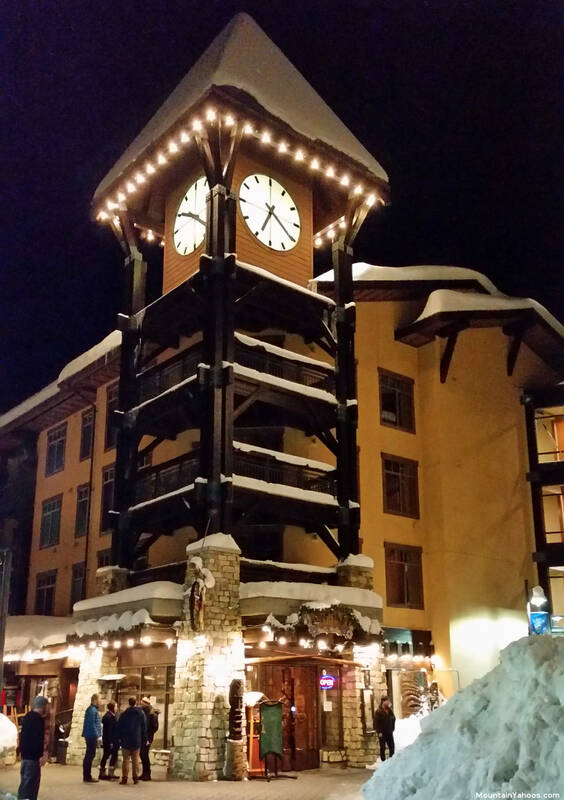 If you get stuck, try the hotel shuttle from Mammoth Mountain Inn located steps away from the Main ski lodge. 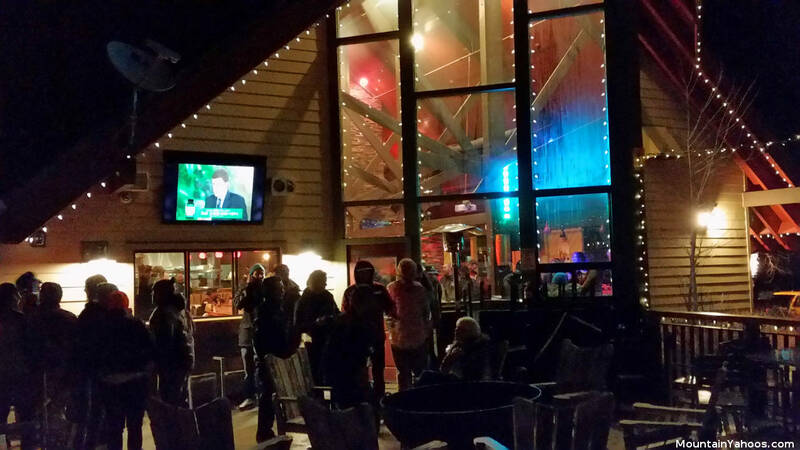 Canyon Lodge has Apres Ski festivities which often include live music on the first floor. 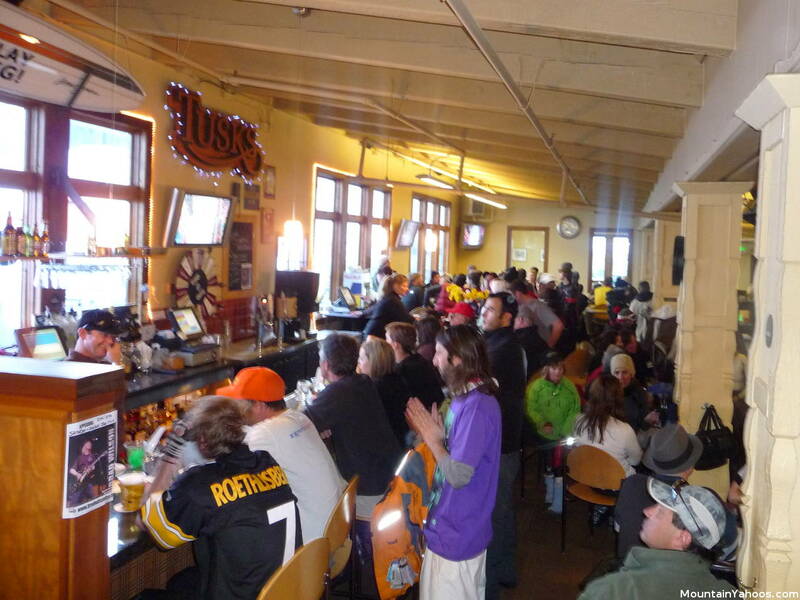 If your legs can survive the trip after a day of skiing, the second floor has "Grizzly's", a small but always crowded apres ski bar. 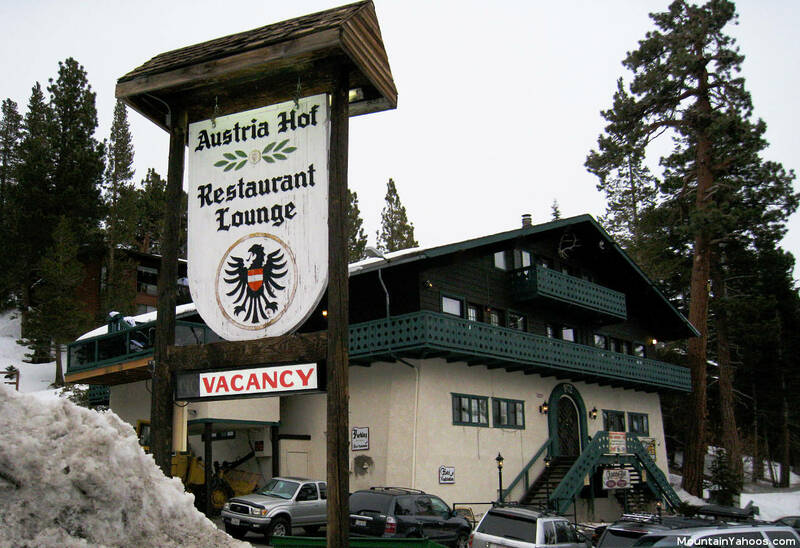 My favorite in the Canyon Lodge area is just down the parking lot to the start of Canyon Blvd at the Austria Hof. 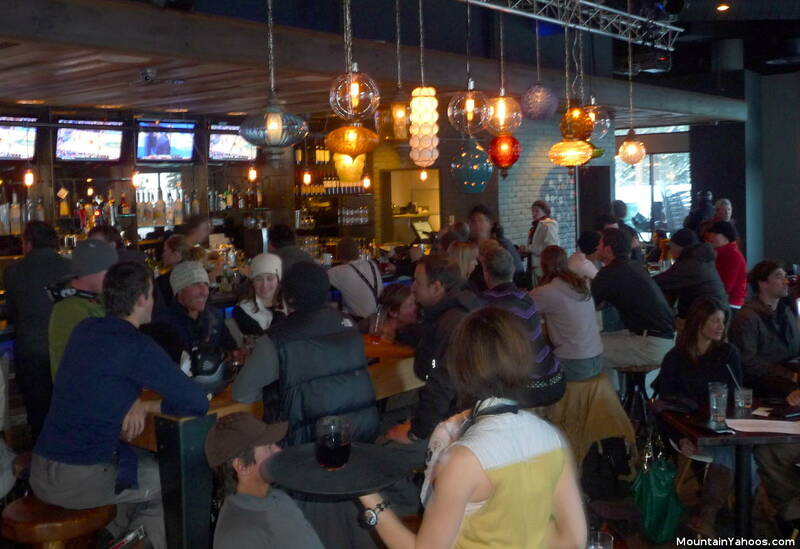 They often have live music and a well attended and festive happy hour. Mammoth caters from the high end (Parallax Snowcat (dinner reservation 800-MAMMOTH), Nevados (across the street from "The Village"), The Mogul and Mammoth Brewing Company to the cheap but good Pita Pit (Village). Also noteworthy: The Side Door Cafe in "The Village" and Burgers. Breakfasts are legendary at the Stove for quantity, quality and cost. Never before have I had a slice of breakfast ham include with my meal that I still rave about. 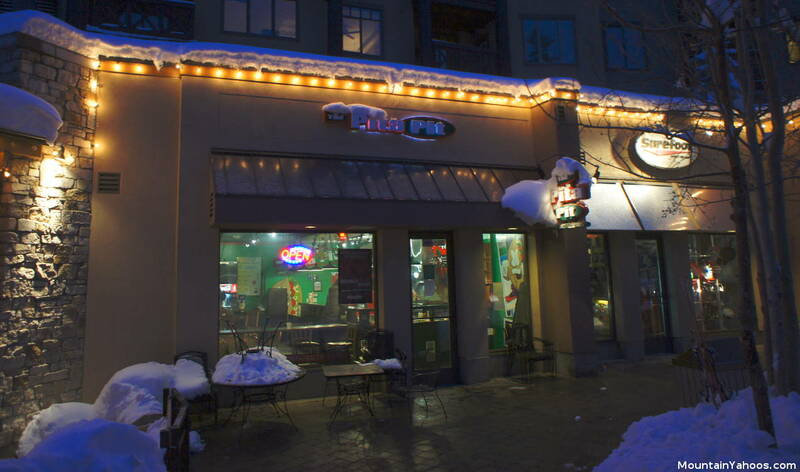 Pita Pit (located in Village next to 53 Kitchen & Cocktails): Open early and late! Healthy food at a very reasonable (cheap) price. 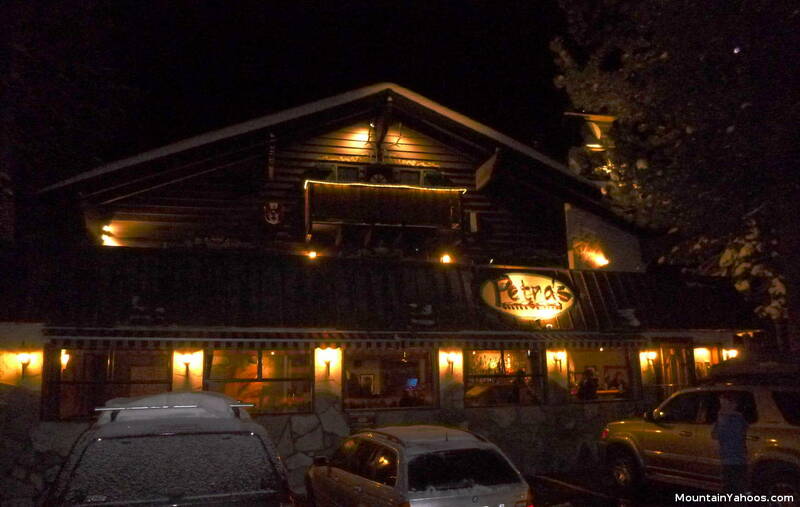 Petra's Bistro across from the village. One of the better restaurants in the area. 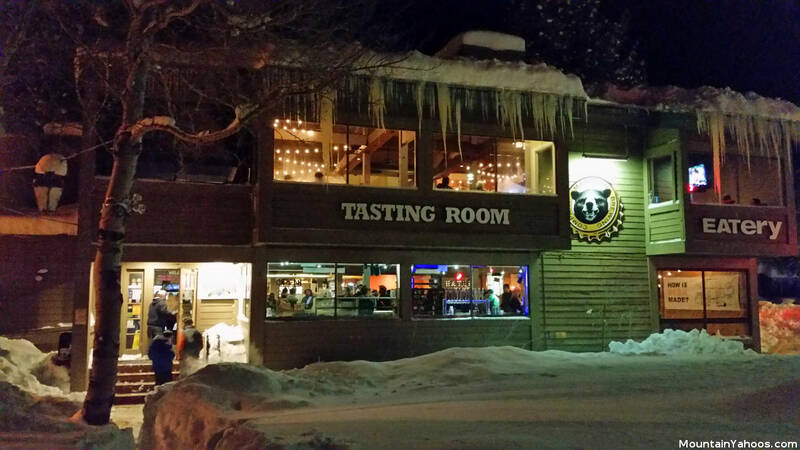 Mammoth Brewing Company: Open during meal hours. Closes early thus ruling it out as a nightlife attraction. Generous dinner portions. Mammoth Brewing Company: upstairs. Tip: try off peak hours for instant seating and a blazing fast order to food on the table response. Follow the path through the village to the doors under the Village clock tower. Loud when in dance club format. 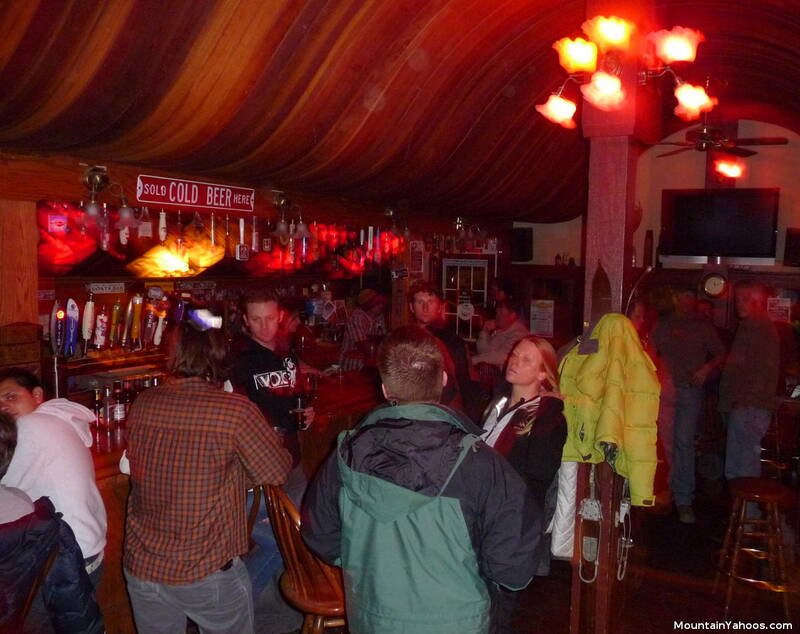 Nightlife in Mammoth centers around the bars in the "Village". 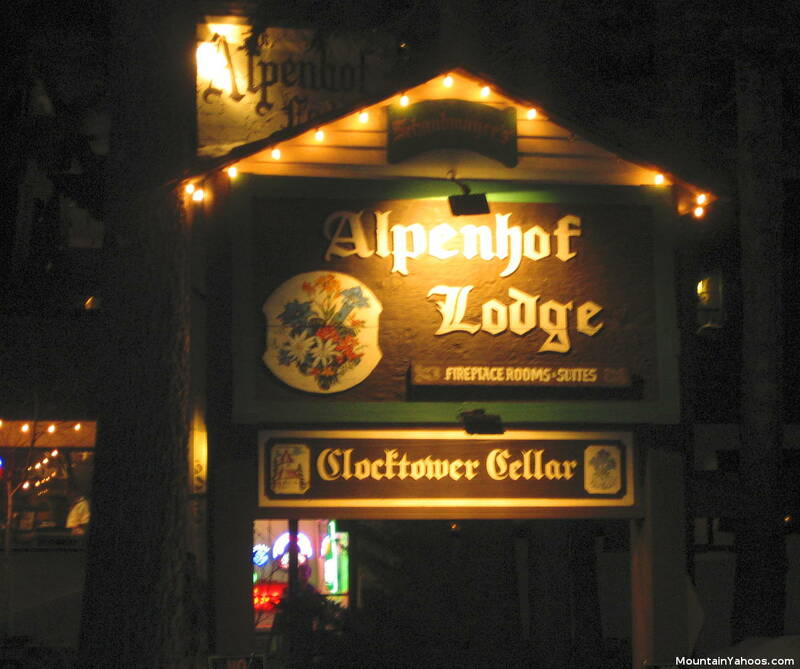 Some of our favorites include The "Clocktower Cellar Pub" (not related to the clock tower above Lakanuki) at the Alpenhof Lodge (early warm-up. Closes at 11:00), Club 53 Kitchen & Cocktails and Campo (food and drink). 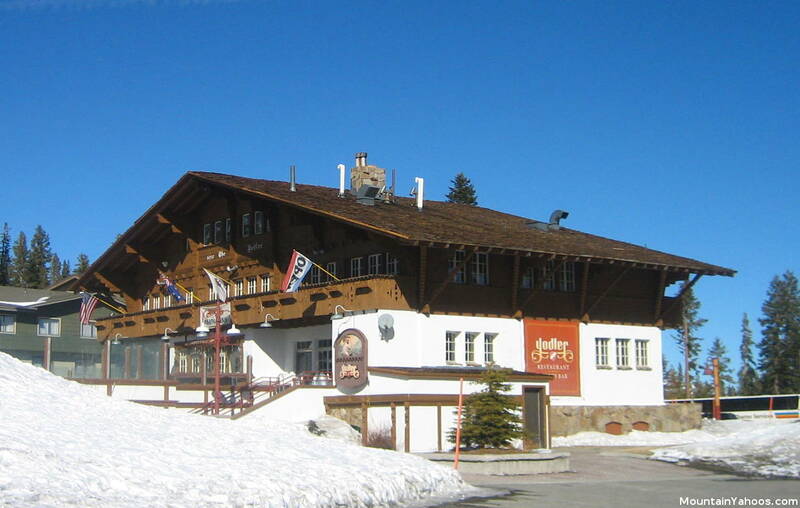 The Clocktower Cellar Pub across the street from the Village in the basement of the Alpenhof Lodge is a great start for the evening. Note that this bar is NOT located at the actual clock tower at the back of the village but across the street from the village. 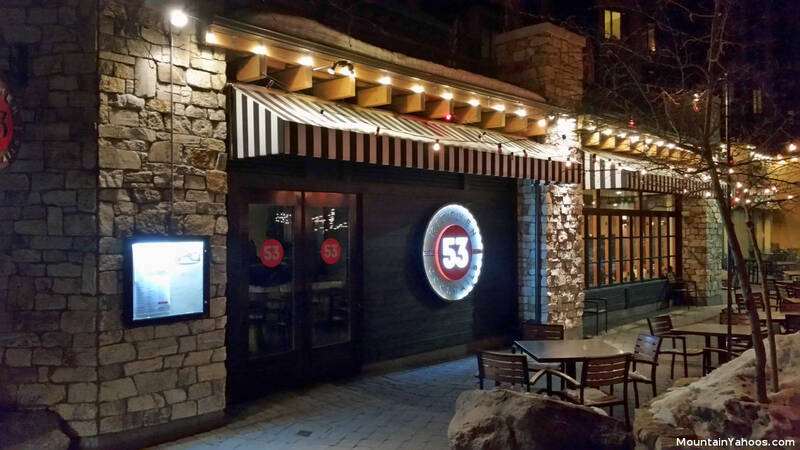 Club 53 Kitchen & Cocktails (was The Underground and Dublin's before that) keeps the beer flowing. 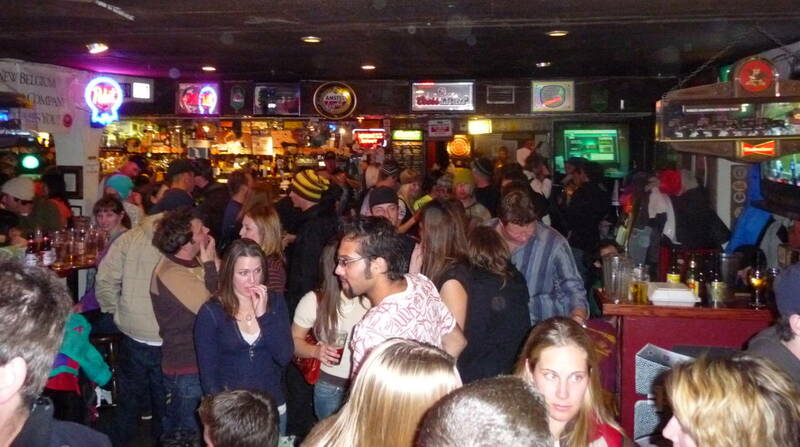 Live music and dance in on one side, drink and mingle on the other. Redecorated to be more "upscale" than its predecessors. 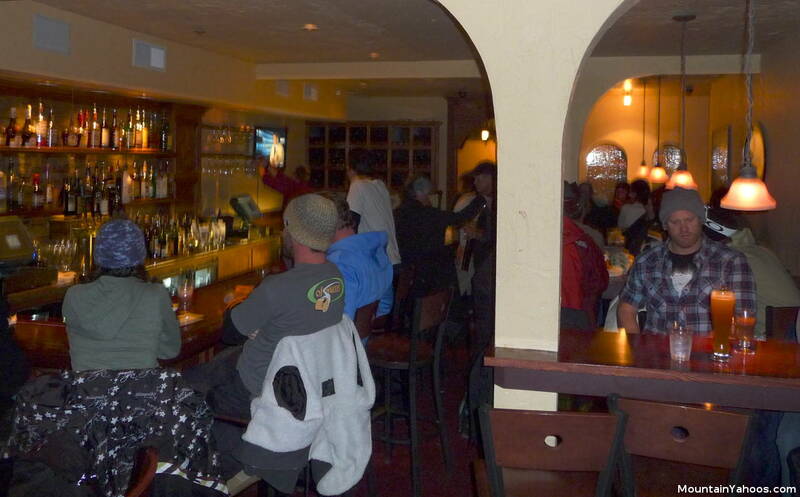 Campo (was Hyde) is primarily an Italian themed restaurant but is also a convenient place to get a beer. 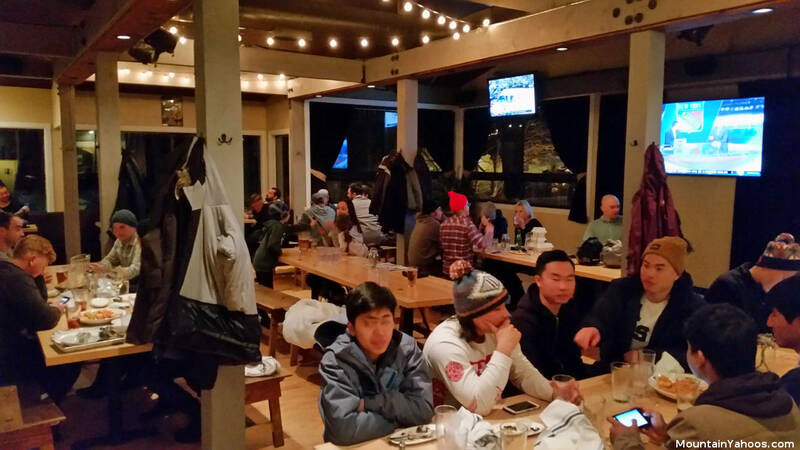 Rafters: A drive, cab, Uber or Lyft for most but Rafters has live bands Friday and Saturday nights and a fun mountain crowd. It's not trying to mimic LA nightlife. 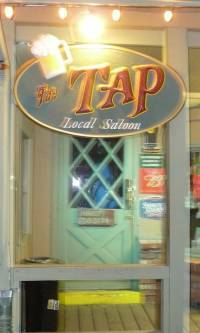 Our Mammoth bar and nightlife guide would not be complete unless we mentioned that the Tap Room (on Main near Minaret) is a nice little beer joint which often hosts live bands. 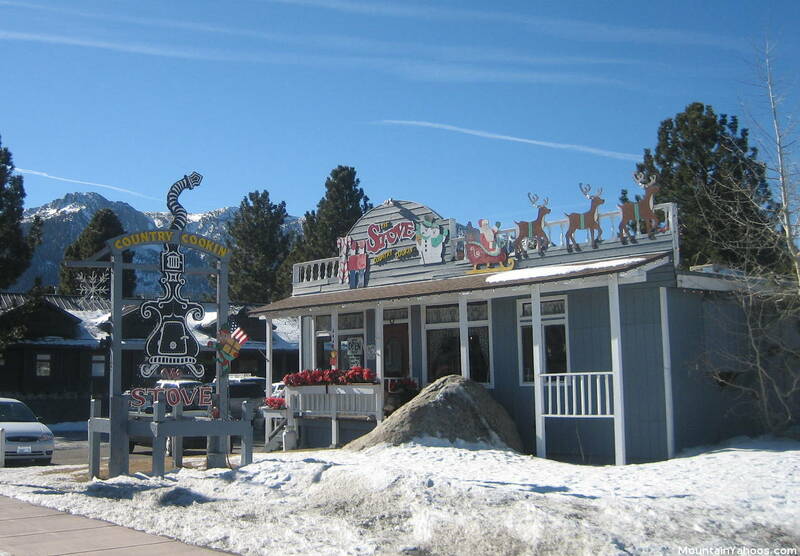 A little known secret even among the regulars to Mammoth, is the bar in Nevados (across the street from Mammoth Brewing Company). It's a great gourmet restaurant with a great bar on nights when everything else is too crowded. For those who want wine try the "Side Door Cafe" (in the village) or "Petra's Wine Bar" (Across from the village). A massage might be the break skiers and boarders need to treat their aching muscles or just a relaxing break for those not riding the mountain. Either way, there are options.